Home / News Archive / Did You Ever Own a Volkswagen Beetle? There is a social history project currently being undertaken on the Volkswagen Beetle. A book is being written that will encompass not just the historical facts and figures around the assembly and distribution of VWs but also the social history surrounding the ownership of them. 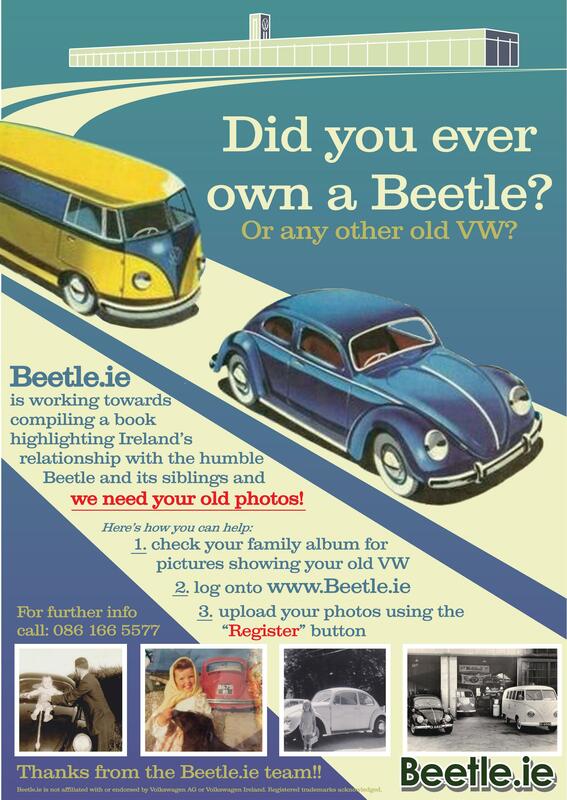 A website has been set up here to encourage the Irish public to upload photos from their own archives and family albums for consideration for use in the book or alternatively by emailing images to Trevor Brady at trevor_brady@hotmail.com or Cathal O’Toole at beetleireland@gmail.com.